Animal Care & Control is a branch of the Department of Public Works, a department of the Columbus Georgia Consolidated Government. * After 5:00 PM and during weekends and holidays, please call 911 and an Animal Control Officer will be dispatched to your location. The Animal Care and Control Center, is a Division of the Department of Public Works. This Division provides animal control services for the citizens of Columbus, Georgia and cares for approximately 8,400 stray, abandoned and surrendered animals annually at the shelter. Adoption of stray and unwanted animals. 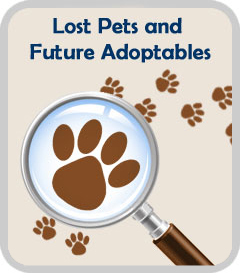 Temporary shelter for lost/unwanted animals. Reunite owners with lost pets. Have-A-Heart traps to catch nuisance animals. Pickup of dead and unwanted animals. Enforce city ordinance and state laws pertaining to domestic animals. Please note: Due to the increase of daily inquiries on the disposition of ACC Animals, as well as due to our shortage in staff, we will no longer be able to respond to individual e-mails asking questions concerning the disposition of specific Tag numbers or Run numbers.